Drum master Bill Bruford, veteran of some of the most creative bands in history (King Crimson, Yes, Genese, etc. 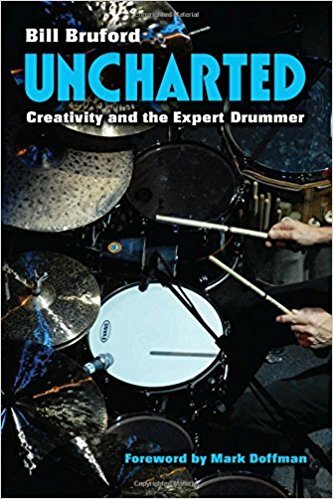 ), is sharing some of what he's learned about being a drummer and a musician in his new book, Uncharted: Creativity and the Expert Drummer, out on University of Michigan Press. Bruford, who was awarded a PhD from the University of Surrey in 2016, has written a book that is not just for drummers, but for all musicians who strive to be creative. He explores the role of the drummer in a band, and how to make things work. Given the degree of creativity Bruford has show in his own work, it's a sure bet that he's learned a thing or two, and this book should provide some great insights and ideas for players in all genres.